Using your fingertips, apply to the face and neck after cleansing and toning. Wear alone or as a base for make-up. 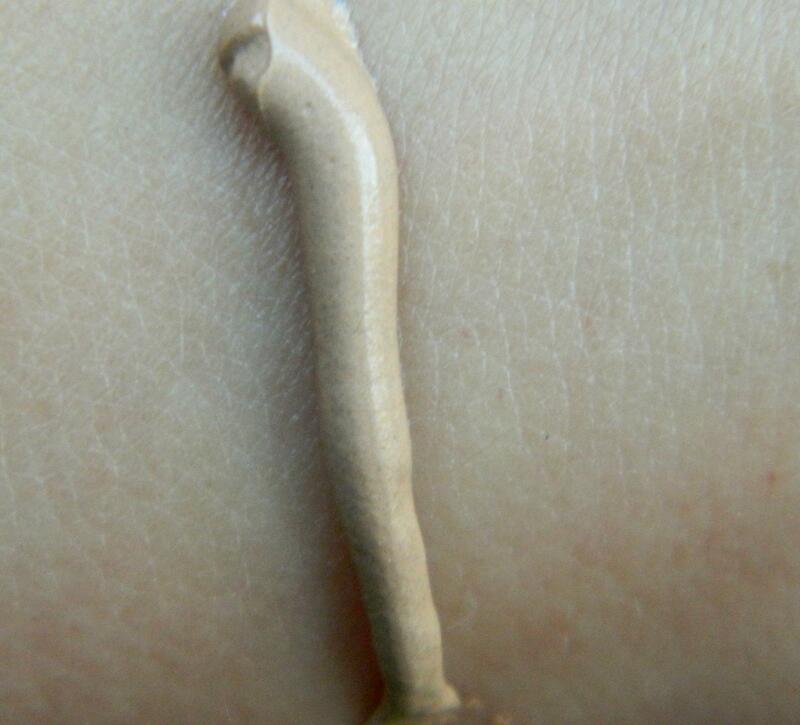 This BB cream comes in a light pink color tube with a flip top cap. The one thing about this cream that can bother anyone is its weird smell, its smell is really irritating, I really hate its smell but thankfully the smell does not last long and vanishes as soon as the cream blends into skin. The texture of this cream is smooth and glides on easily. It’s a very light weight muddy colored cream and the coverage it gives is sheer to medium, it does not cover dark circles and marks. As it gives a sheer coverage it just gives a natural look and you will need a concealer to cover any marks, dark circles or any problematic skin. It does not have SPF so you will also have to use a sunscreen separately before using this BB cream. It keeps the skin soft for 5-6 hours. It’s available in only one shade which is the biggest con and this cool shade may not suit girls with pale skin like me, it kind of makes my skin color a bit dark than usual but I manage with it by topping it with a good compact or loose powder. I quite liked the ingredient list of this cream which are really good for our skin. It has wheat germ oil, shea butter, vitamin E which are really good for our skin. Staying power is 4-5 hours. Keeps skin soft and moisturized for 5-6 hours. Available only in one shade which will not suit fair skin. Makes my skin a bit dark than its actual color but I manage by topping it with a good compact powder. No SPF so a sunscreen has to be used separately. Will not suit oily skin. Overall, I didn’t like this BB cream much as it does not have all the features of a BB cream! A BB cream is like a multitask cream and comes in various shades to suit all skin tones whereas this BB cream comes only in one shade and that too with no SPF. So I would rather use it as a base for my makeup and not as a BB cream as it makes a perfect makeup base and does not work that good as a BB cream. PS: I’m planning to try all BB creams available in Indian market so wait for my coming posts to see more of BB cream reviews. Thanks Saniya, yeah there are better inexpensive BB creams than this :-? nice review arzoo..if u hv dry skin this is a gud product though i agree it lacks spf.. Ya Preetha, I have dry skin but it kind of makes me look dark. I wish TBS had more shades in it plus a few more added benefits!! Ya, a skip for you Vipra, this shade problem makes it a skip :-? I love sales too ;) No matter how hard we try, we get dragged in them! High 5 Richa, I just love sales but this BB cream proved not to be that good. I have a new found liking for TBS products.. not sure what was keeping me away from those.. But I am definitely giving this one a try. Most of the BB creams I have has SPF in them.. This would have been better if it also contained spf considering the high price.. I love sales too.. it is too tempting not to buy anything in a sale! Ya would be better if it had SPF in it. Thanks Rajani, ya I too love Garnier BB cream. Hehe ya I will end up using this as a base. Nice review dear…although I desperately wanted to give it a try I couldn’t merely bcoz of shade problem.This shade would me also look dull…so this one is surely a skip. Nice review. Congrats on getting featured.